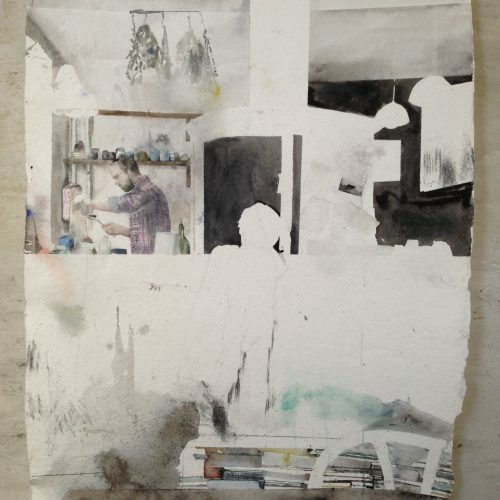 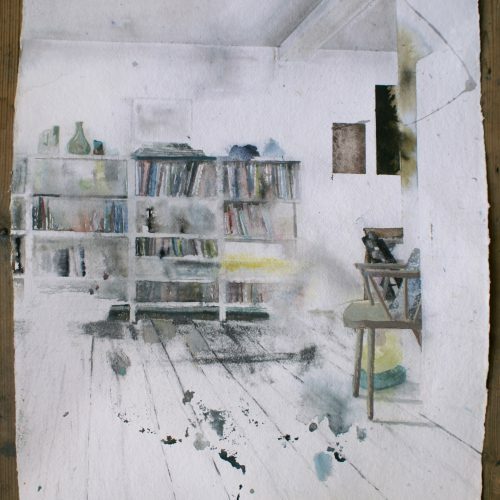 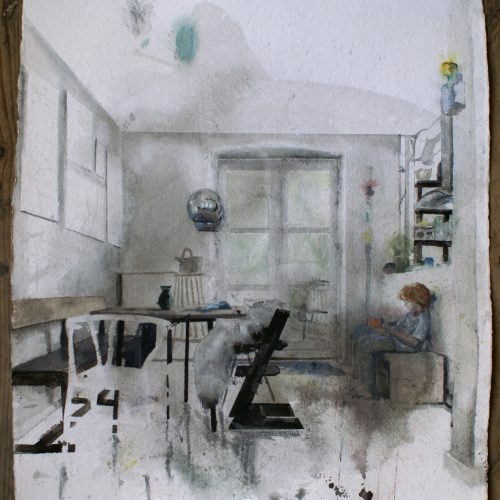 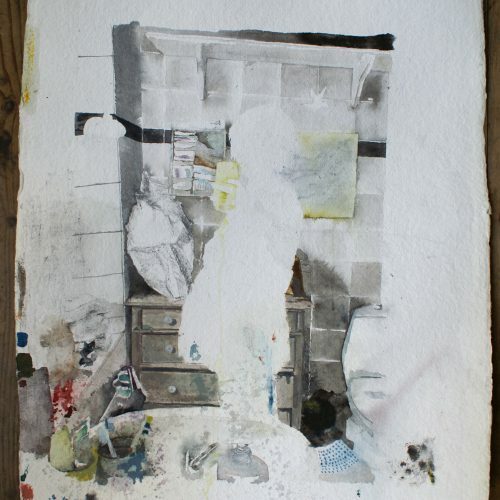 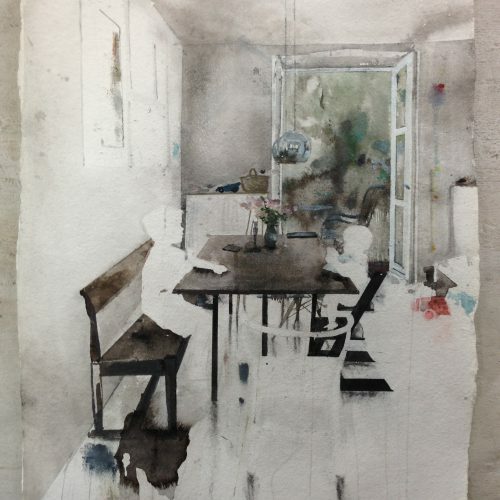 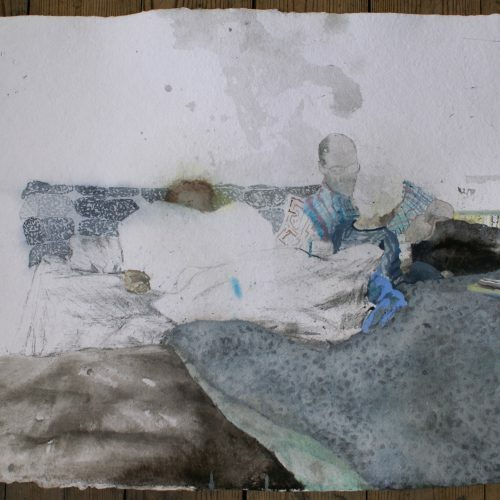 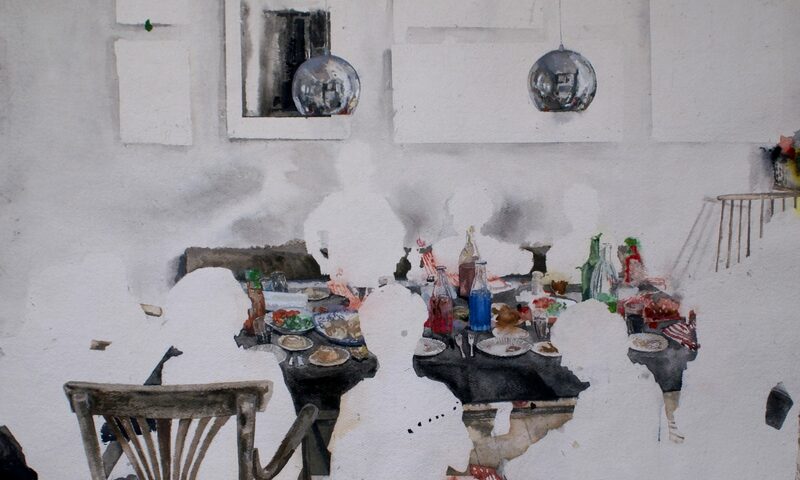 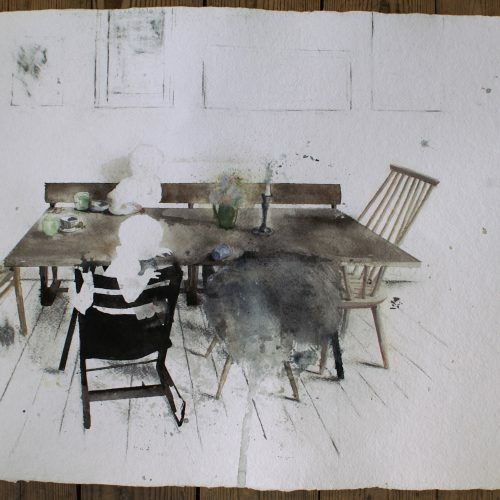 These paperworks mainly explores my own domestic interiors and their inhabitants. 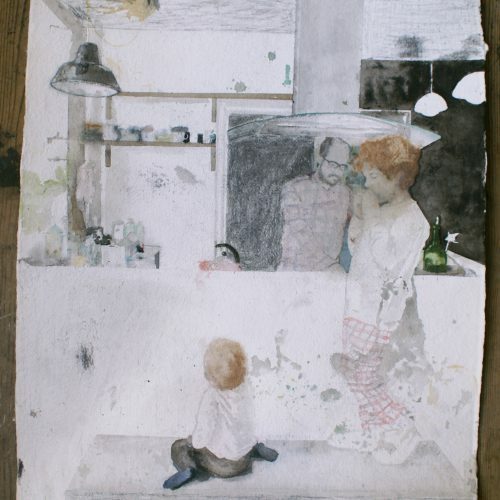 My focus is variations of absence and presence in family relations – the slight shifts between closeness, tendeness and intimacy and distance and isolation in everyday life. 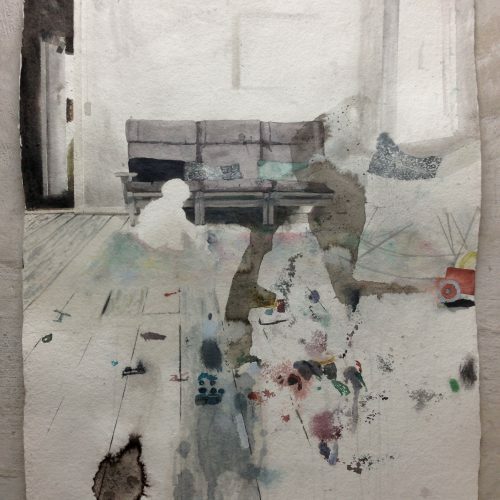 In this context the blank abstract spaces is as significant as the figurations. 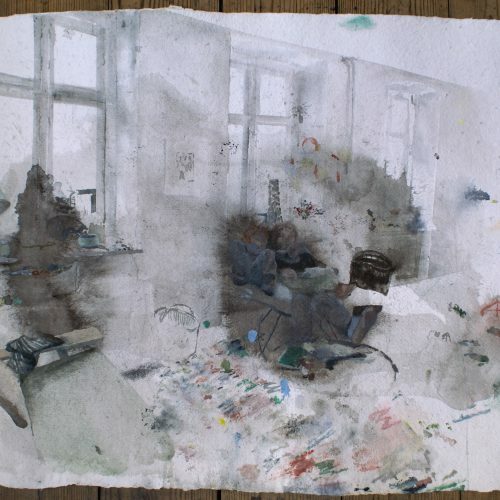 As is the physical presence of the work, the textures of the different kinds of paint and the imprints of the pencil on the coarse surface of the paper.